Product prices and availability are accurate as of 2019-04-16 21:49:22 EDT and are subject to change. Any price and availability information displayed on http://www.amazon.com/ at the time of purchase will apply to the purchase of this product. 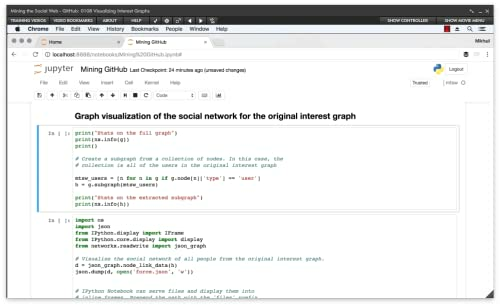 GitHub is one of the largest social coding platforms on the web. 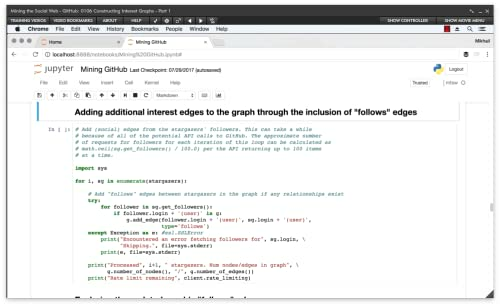 Its collaborative features allow GitHub users to follow each other’s code developments, build off each other’s work, and make it easier than ever to create open source software. 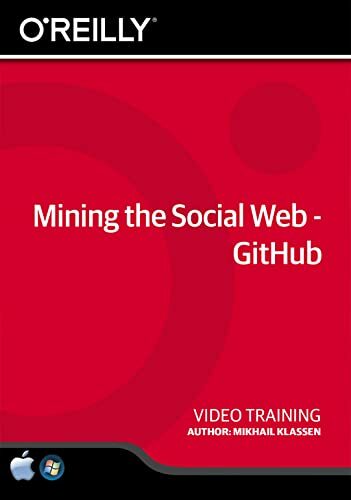 Based on content from the book "Mining the Social Web" (O'Reilly Media) by Matthew Russell, this course shows you how to mine GitHub data for insight into the platform's projects and community of users. 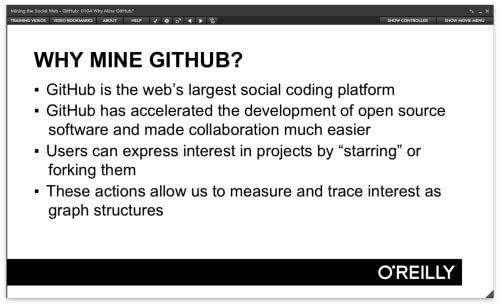 For example, you'll be able to trace open source project histories, the types of programming languages used in those projects, and the relative popularity of those languages. 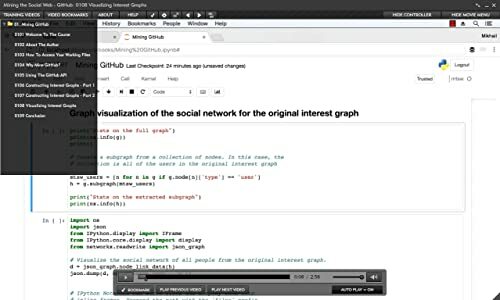 The course teaches you how to make API requests on GitHub's developer platform, use NetworkX to construct interest graphs from GitHub data, and create visualizations of graphs. 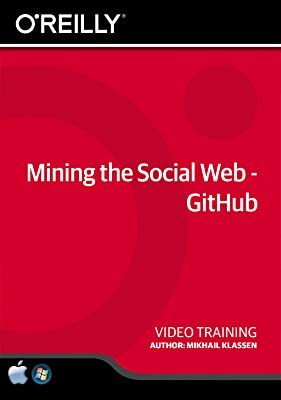 To get the most out of the course, learners should have basic Python experience and a GitHub account. 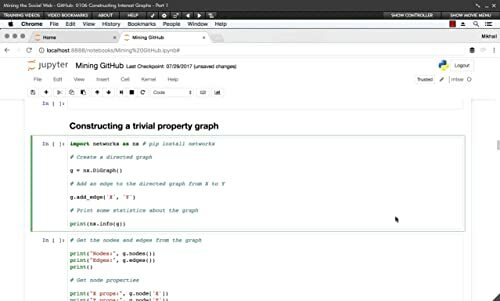 After completing his PhD in astrophysics, Mikhail Klassen transitioned to data science and refined his expertise in data mining, data analysis, and machine learning. He's now the Chief Data Scientist for Paladin: Paradigm Knowledge Solutions in Montreal, where he combines data mining and artificial intelligence to deliver personalized training for the aerospace industry.